This entry was posted on Friday, June 19th, 2009 at 3:05 am and is filed under Photography. You can follow any responses to this entry through the RSS 2.0 feed. You can leave a response, or trackback from your own site. 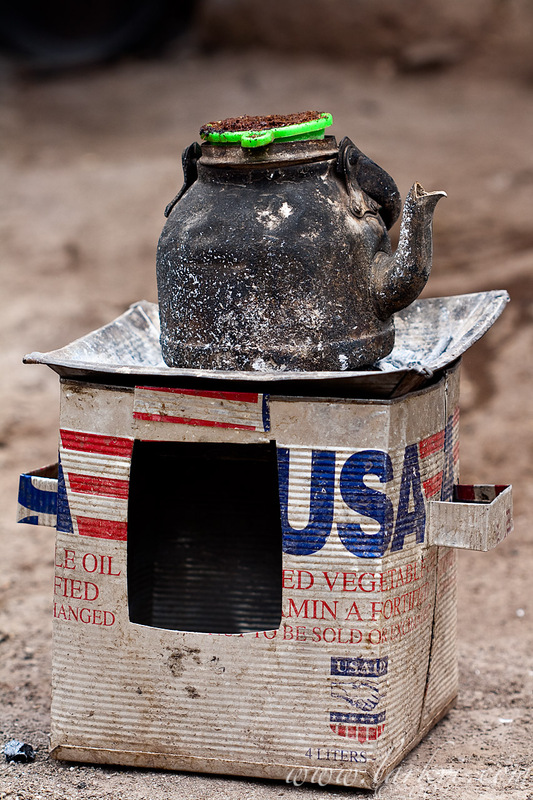 A teapot simmers atop a stove made from a ‘USA Fortified Vegetable Oil’ container distributed by the United States Agency for International Development (USAID). It if a very common to see bags of grain and containers of vegetable oil with USA written across them, both in shops and being reused in other contexts, as Ethiopia receives about $1 billion of food aid ever year (though I do not know the percentage provided by the U. S.).